21st Century Wire says… Top news story on the BBC and most UK mainstream media outlets last week was that the Queen of England, who turns 87 next month, caught a stomach bug but was released from royal King Edward VII hospital smiling and well. Note that this is the very same royal hospital which produced a dead administrative worker before Christmas 2012, one Jacintha Saldanha, the alleged victim of a prank Australian radio prank. It was revealed that innocent Jacintha was not the main subject of the Aussie radio prank as she merely passed the phone over to someone else on staff, and was not ‘traumatised’ or depressed – as the press campaigned to the public, further fueling speculation that she was ‘suicided’ (killed) in order to send a message to public not to meddle in royal life, or to fulfill some other unknown purpose. Was it really a suicide? What was her motive? Will we ever know? 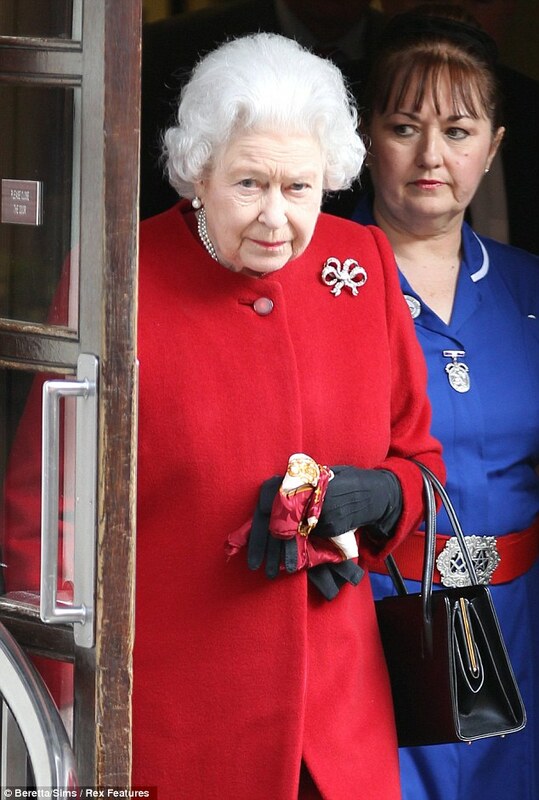 Upon the Queen’s release, a photograph of her next to her nurse reveals – and proves, what many have speculated over the years, that there is in fact a secretive satanic and masonic culture which operates in and around Britain’s Royal Family. 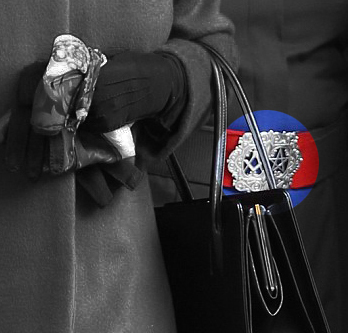 Notice the belt buckle of the Queen’s medical minder in the photo below, adorned with the symbol of the 5 tipped star pentagram along with the masonic compass. A closer look reveals the belt buckle of the royal hospital staff. Not so secret. How much more proof do we need that the our planetary elite are hiding some hidden agenda from the world’s public who ultimately empower them? It seems that the royals are heavily affiliated with secret societies that the rest of the general public know very little about, and that, surely, things understood only in secret by ruling elites cannot advance ‘democracy’ in the 21st century.